Odion Ighalo claims he turned down the chance to join Barcelona on loan in January as he 'deserved better'. The former Watford striker scored 21 goals for relegated Changchun Yatai in the 2018 Chinese Super League season, which he says attracted interest from the Camp Nou giants. But the Nigeria international felt the nature of the move – a short-team loan deal – was not sufficient to entice him back to Spain, where he had two loan spells with Granada. "My agent spoke to me about a loan interest from Barcelona. 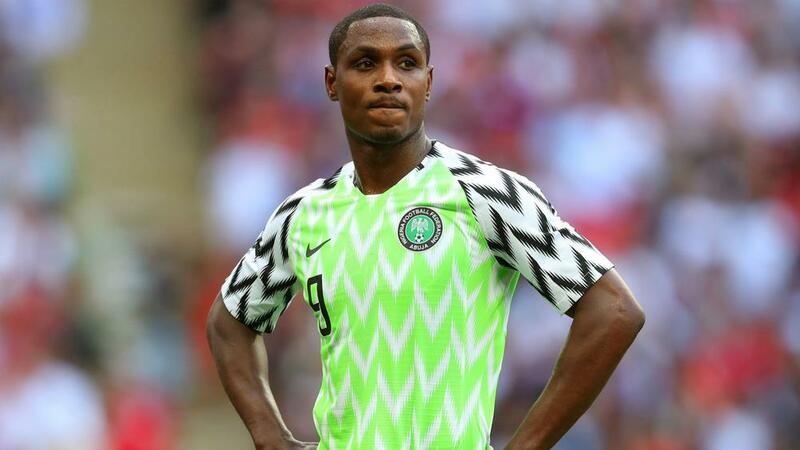 The club wanted a striker with LaLiga experience and someone who understands Spanish football," Ighalo, who instead opted to stay in the CSL with Shanghai Shenhua, told BBC Sport. "It was meant to be a six-month loan and strictly as a back-up striker. It was nice to hear that Barcelona were interested and any footballer would be more than happy to take it. "But, with due respect, I had just finished as the second top scorer in China with 21 goals, I deserve better and didn't want to be a short-term player somewhere. "We rejected it, it was an easy decision to make and I chose to stay in China by joining Shanghai Shenhua on a longer contract. "You need to weigh things up properly in life and ask yourself if it is your call to make, or one to satisfy others. "I respect my decision. I needed to focus on what is good for my career long term and when you decide to do something – you stay true to yourself. It wasn't for me and I am happy where I am. "I have no regrets or whatsoever because I am happy at Shanghai Shenhua. To reunite and play under my former Watford coach [Quique Sanchez Flores] is exciting and I love it."